The Blake Hall is a registered charity managed by the William Blake Memorial Hall Management Committee, which comprises of two representatives from the Parish Council and representatives from the Art Group, the Over Sixty Club and the W.I. The Hall has a capacity for 200 seated closely, 85 seated at tables, 170 dancing, 102 dancing and seated at tables. 7. A separate Committee Room, suitable for meetings for up to twelve people. The village hall building known as the William Blake Memorial Hall was built in 1911 in Ham Hill stone. It incorporated the Old Market House and replaced The Old Fire Engine House and two old cottages that were bought by the sons of William Blake, a prominent local landowner, for the new facility. In modern terms it was effectively a redevelopment of what was already in place. The Old Market House, which was built in 1843, was a single storey building with open arcades for use as a market. 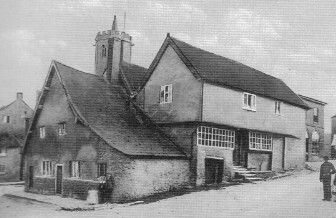 The new ‘fire engine house’ was accommodated in the new William Blake Memorial Hall and the horse drawn fire engine continued to be housed there until 1951 when Somerset County Council decided it was surplus to requirements. At the apex of the roof is a bell turret housing the fire bell, used to sound the alarm to summon the firemen when the fire engine was called out. On the outside of the building is a stone carving of the Coat of Arms of the Blake family and a date stone of 1911. The main hall is upstairs and below is a range of rooms designed and used orginally as a Liberal Club. In it's history the hall has also been a centre for evacuees during the Second World War, a dance hall, a cinema, a library and a schools meal service. The William Blake Memoruial Hall is a dominant bullding tight in the centre of the village of South Petherton in Somerset, England. As such it is also the centre of many of the activities that go to make village life, continuing to be the venue for many varied activities.